Use of cloud-based communication has risen gradually over the last three years. As of 2017, No Jitter reports that 60% of companies surveyed use at least one form of cloud communication. Additionally, 55% of organizations utilizing cloud communications are doing so for both business employees and customer service agents. By doing so, these companies are better able to reap the benefits of cloud than competitors who have only transitioned one side of their business. Companies using cohesive cloud communications across their business offer a better experience for customers. Conversations flow smoothly between contact center agents and subject matter experts. Questions are answered quickly and problems are resolved faster. Customer experience is improved creating satisfied, loyal clients. The benefits of a unified cloud communication system will span across your entire company. 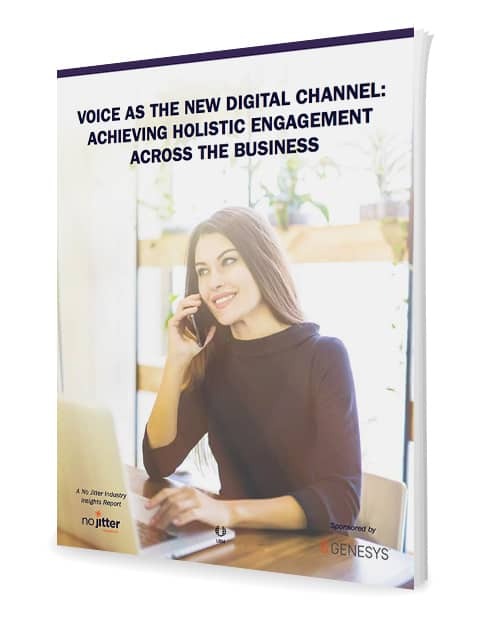 To learn more about bridging knowledge gaps and eliminating business silos with cloud communication, download the No Jitter report.